That was ordained in eternity. Reading Ron Ferguson's admirable if flawed book on George Mackay Brown (for it needs both tighter editing and a gentle critique when it sprawls off point), I am reminded of Edwin Muir, one of Brown's key mentors and promoters. What shimmers through Brown's accounts of Muir is the incisiveness of his judgements and the gentleness with which they were offered. Judgements always aimed at building up or expanding vision and possibility. Muir refused to review books which he could not appreciate. This is one of my favourite Muir poems that speaks of his discovery of Italy, of incarnation, of a religion embedded in a visual, tactile culture, that is of grace, acceptance and mystery. 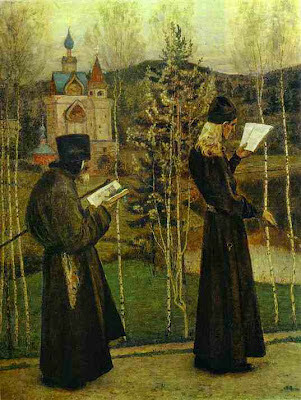 The painting is of the Eve of the Feast of the Annunciation by Mikhail Nesterov. 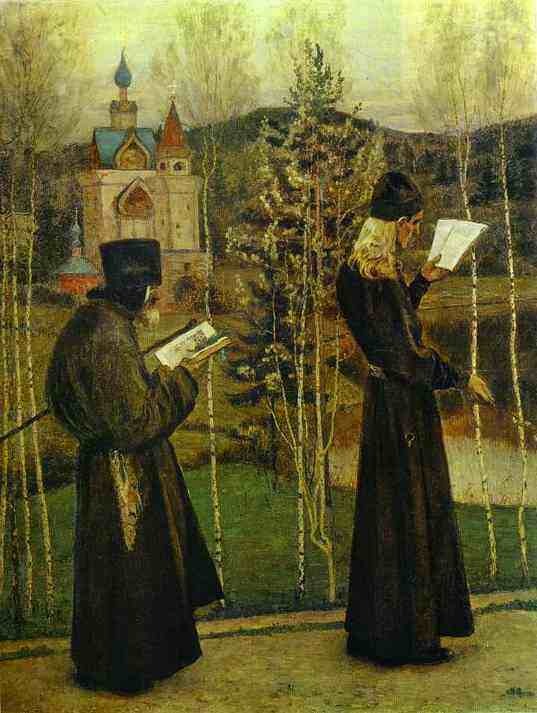 I love the progression of youthful monk, followed by age, both reading in the dying light of day - the rhythm of prayer meets the timing of day and the emergent season of Spring - time wrapped in eternities.